This is our weekly roundup panel. But before we get started, let me do a bit of a rant introduction here, because we’re going to talk about the Mueller report. On The Real News, we’ve been always extremely skeptical of the whole Russiagate story. We’ve carried many, many reports that said that the evidence of Russian interference was dubious, at best. The collusion story, the evidence seemed rather thin and dubious. But I always said, myself, all through all of this, I actually–I’m sorry–don’t give a damn. I didn’t care whether there was some low-level Russian interference that we all know was mostly ineffective. Not mostly ineffective, was ineffective. I didn’t care whether Trump colluded or didn’t collude with some mostly or completely ineffective Russia troll farm inc. Maybe there was, wasn’t, whatever. Because in the list of the crimes of Donald Trump, all of this was a distraction. 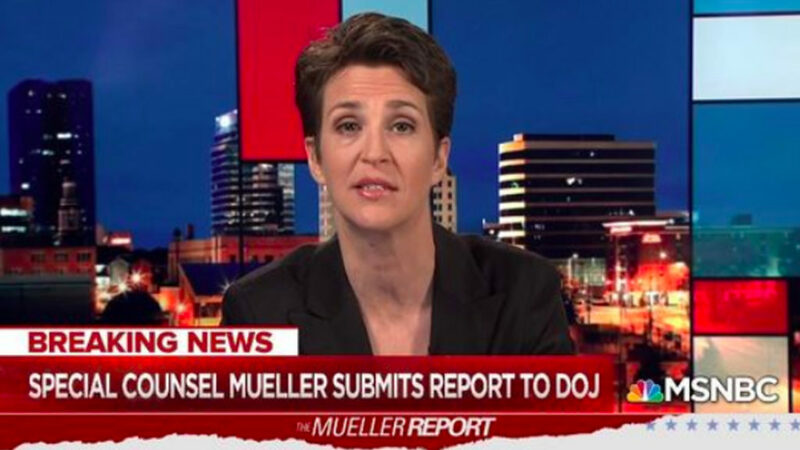 So let me preface our discussion about the Mueller report with that framing, because it still is a major news story. It is a crisis within the political class of the United States. It does reflect real splits amongst the elites. It will affect the well-being of ordinary people, which is what we care about. But we’ve never put any eggs in the “Oh, he didn’t collude” basket; nor were we, a la Rachel Maddow and some others, constantly hammering that his big crime was the collusion. So when the Mueller report briefing, a four page summary, whatever it is Barr did, came out, I didn’t jump for joy that he didn’t collude, as some did. Nor was I disappointed that it didn’t show that he didn’t collude. All of it is so secondary. That being said, as a political event, it’s actually not secondary. It is a reflection of some real stuff, and that’s what we’re going to talk about. So joining me to talk about all of this, first of all, coming from Woodstock, New York, is Jeff Cohen. Jeff is the founder of the media watchdog FAIR, and he is currently, and was the co-founder of RootsAction.org. And joining me in the studio is Jacqueline Luqman. She’s editor-in-chief of Luqman Nation, and she’s a regular contributor and sometimes host at The Real News. So thanks for joining us. JACQUELINE LUQMAN: Thanks for having me. PAUL JAY: So Jeff, let me start with you. What’s your main takeaway? We’re going to break this down into various categories, but first of all, your main takeaway of the events, the Mueller events of this week. JEFF COHEN: Well, I think that the Trump team played it well. They had Barr hide the full 300 plus page report, and Barr quoted about 50 words. So Trump’s able to claim vindication. He clearly has not been vindicated. I think that, wearing my media critic hat, this has been a horrific episode in mainstream media; the fixation, the obsession, the exaggerations about Russia election collusion, while excluding far bigger issues and far bigger affronts to U.S. democracy committed by Trump. So as a media critic, what’s happened the last two years is really offensive. And as a political analyst, the leadership of the Democratic Party putting their eggs in this basket, and every time Nancy Pelosi, for a year and a half, two years, has been asked about impeachment, rather than laying down the many grounds of possible impeachment inquiry–and RootsAction.org has about 15 of them, from abuse of the pardon power, politicizing federal prosecutions, the violation of the anti-corruption clauses of the Constitution because of Trump’s self-dealing–you can go on and on–the discrimination based on religion represented by the Muslim ban, tearing refugee families apart at the border. There’s 15 different grounds, and every time Pelosi is asked about impeachment, she says, “Well, let’s wait for the Muller report.” And all the leaders of the party, “Let’s wait for the Mueller report.” And what that achieved was it tended to take these huge affronts against the U.S. public, against democracy, against the Constitution, and marginalize them like they’re less important than Russian election collusion. I think it was a horrible strategy. PAUL JAY: Well, let’s play a clip of perhaps the person who is the face of this media frenzy and what I would call Russophobia. She’s not the only one. I’m talking about Rachel Maddow, obviously, but CNN is every bit as guilty as MSNBC is. But Rachel, her show rose to the top of cable ratings at the height of all this. Back in July of 2018, Trump met with Putin in Helsinki, and this is one of the most highest points of the fever pitch of this craziness. And here’s a couple of clips from MSNBC. RACHEL MADDOW: I mean, for everything that we have been through as a country, for every kind of trial and challenge and intrigue and embarrassment and scandal that we have been through as a nation, we haven’t ever had to reckon with the possibility that somebody has ascended to the presidency of the United States to serve the interests of another country rather than our own. What’s the corrective to that? How do you remedy that? These are no longer hypothetical questions. JILL WINE-BANKS: It’s just as serious to me as the Cuban missile crisis in terms of an attack, or the 9/11 attack. The president is taking the side of the people who attacked us instead of trying to prevent a future attack. He has done nothing to make sure that the elections four months away are going to be safe. And I would say that his performance today will live in infamy as much as the Pearl Harbor attack or Kristallnacht. And it’s really a serious issue that we need to deal with. PAUL JAY: So Jacqueline, the level of that rhetoric is hard to believe, and they put their eggs in the Mueller basket. But to me, the underlying crime here is the beating the drums of a new Cold War. Far more significant than anything Trump may or may not have done. JACQUELINE LUQMAN: Yes. I mean, what I think I have to do is make very clear that I think Trump is guilty of something. I’m certain he’s guilty of something, but I think that something is more along the lines of financial crimes. Just from looking at his behavior, the things that have come to light from this investigation, you can look at the way he’s been trying to solidify this deal to build this Trump Tower in Russia for 30 years. And I think any thinking person can look at what’s come out of this investigation and say, “OK, he’s thinking he can capitalize on the presidency to finally get this done.” I think that that makes sense. So yes, he’s guilty of something. But this whole Russophobia and the level of hysteria from people like Maddow and the other clip, where the woman ended saying that this is akin to Kristallnacht. Are you kidding? This is this is not a situation where the president of the United States is acting on behalf of a foreign government, as opposed to acting on our behalf. First of all, our own government has not acted on the behalf of the people that is supposed to elected it a very long time. So to feign this outrage that this particular president is doing something different from what other presidents have done, as if other presidents have acted on behalf of the people; that, first of all, is just dishonest about our government. That’s just a dishonest premise to start from. And then, to take this discourse of Russia corrupting our elections and corrupting our electoral process. You had a Democratic Party that was involved in purging registered voters in some places. Then you had a Democratic Party that was also actively colluding, for real, with the media to completely not cover a very popular insurgent candidacy. I mean, I believe these agents in the media have created this narrative that is centered on Russia being the enemy and creating this crisis in this country, when really the crisis is and always has been this really unseemly alliance between both political parties and the media–that is, the corporate media, I should say–that’s more than willing to trot out whatever narrative the highest bidder will pay for. And whoever gets hurt by it–meaning the American people–whoever gets hurt by that level of disinformation, it doesn’t matter, as long as one party is seen as winning over the other. 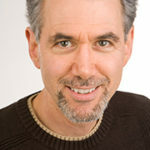 PAUL JAY: Jeff, when you discuss this kind of within the rough framing of the mainstream discourse, there is something fishy about Barr’s letter, and there is something fishy about the Mueller report; first of all, how on earth the Democrats trusted Mueller. In an interview I did recently with Larry Wilkerson, he called Muller the “cleanup man” for the Republican Party. Years post 9/11, Iraq war, I mean, the FBI was accused by Graham under Mueller’s administration for directly not properly investigating the 9/11 situation. I mean, it goes on and on. And then they put all their eggs in the Mueller basket, so why trust them in the first place? But still, Barr was obviously put in place by Trump to block anything that might hurt Trump in the report, and so far, that’s what he’s doing. The whole thing is pretty fishy. JEFF COHEN: Yeah. Let’s do Mueller and then Barr. I mean, I’m a person of the left. When I was young, the FBI was spying on me. PAUL JAY: And I’m sure still is. JEFF COHEN: Yeah. We have this thing in the mainstream media where there’s Fox News on the right and MSNBC on the left. No, MSNBC is not on the left. If you’re on the left, your saviors are not FBI chiefs. For 16 years, Mueller and Comey ran the FBI. During that time, Occupy Wall Street was surveilled, Black Lives Matter was surveilled, The Standing Rock activists, the Water Protectors, were surveilled. So they’re not my heroes. So that’s number one. And all these former generals that got paraded on MSNBC and CNN, they are not the saviors of progressive America. So on the one hand, there really were attempts to collude. Collusion is not a crime, but with the antics of Trump aides like Papadopoulos, Carter Page, trying to arrange meetings with the Russians and getting a green light from the leadership, and then you have the Trump Tower meeting in June 2016, that’s not a minor issue. And when I hear people say, “Oh, who cares if they met,” I mean, think about it. If a foreign power, say Israel or Saudi Arabia, during the Democratic primaries, had contacted the leadership of the Hillary Clinton campaign and said, “As part of our effort to help you defeat Bernie, here’s some dirt on Bernie” And then the leader of that campaign says back in an e-mail, “I love it,” I mean, we’d be outraged. And I don’t know if I agree with Steve Bannon when he referred to the Trump Tower meeting as unpatriotic or treasonous, which is what Bannon said about the Trump Tower meeting, but clearly there was some attempt to collude, and that’s why–getting to Barr–the American public has a right to see the full 300 plus pages. Because all we know from Bar, is which is fascinating, is that Muller punted, he sort of threw up the white flag, he said, “I cannot–this report does not prove a crime of obstruction of justice, but it does not exonerate President Trump.” That’s pretty intense, and I want to hear more about that. And then, secondarily, that comment that’s been quoted from the report, and we only know it from Barr, which is they did not find that Trump or Trump’s associates conspired or coordinated with the Russians during the election; when they say did not find, in legal terms, when a prosecutor says that–he said did not establish–that means did not establish beyond a reasonable doubt. But clearly, there was some collusion, and I want to hear about it. So I’m happy that there’s activism trying to demand the full report. JACQUELINE LUQMAN: Yeah. I do believe there was some coordination to get information, I do think there was some coordination. Again, I really do think the meat of this matter is financial crimes. When this report is released–and I do believe the report absolutely needs to be released, because I’m interested to find out what other things came that Trump hasn’t been exonerated for. I want to know what those things are. I think I have a pretty good idea, but I’d just like to see for myself, as I think we all have a right to. 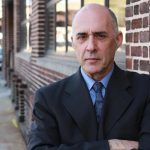 PAUL JAY: And I think a lot of that’s being followed up by the Southern District Prosecutors in New York, who are going after the financial crime. JACQUELINE LUQMAN: Exactly. And it might be that that’s exactly what it said in the report, that because there are these connections to financial misdeeds and questionable financial dealings involving Russia, then these issues are being shuttled to the Southern District of New York, who are continuing an ongoing investigation. That could be the things that Trump is not exonerated for from this report. But again, we don’t know, because we don’t see the full report. But I am really concerned about the damage that the corporate media has done to black activists, to black voters, and to people who they claimed were influenced by this very limited, and not extensive in scope at all, Russian troll farm operation to so-called influence voters not to vote for Trump. The media, the corporate media, never reported the truth about the extent of that operation. They always inflated the reach and the scope and the influence to make it seem as if this really small agency that didn’t spend a lot of money–the Internet Research Agency, I think they’re called, didn’t spend a lot of money. They actually spent less money on this so-called national troll farm campaign than the New Knowledge Agency that wrote a report spent on their nefarious dealings in the Alabama election. So there is a problem that was never reported by corporate media with this whole situation. But also, they didn’t report that most of the ads didn’t even appear on social media until after the election. Most of them didn’t mention Trump or Clinton or Sanders or the election at all. There were a bunch of memes of Jesus saying, “Click if you if you love Jesus, share,” ridiculous things like that. PAUL JAY: Although that’s part of data gathering, to figure who they want to talk to, assuming they is they. And that’s still not clear. JACQUELINE LUQMAN: But that’s the same thing that Amazon does, that’s the same things that any online retailer does when they want to build an audience for their product. The Internet Research Agency did not create a campaign that was wide enough, large enough, influential enough to influence anyone to vote one way or another in this election. But these people in the corporate media, the Maddows and the people at CNN, they created this narrative and then they turned it into “black activists were influenced by these ads,” as if we are a bunch of ridiculous, silly, childish people who decide who to vote based on some shoe ads on Facebook. And for me, the damage is done. For me, I think that the corporate media has done an irreparable amount of damage by trotting out that storyline. PAUL JAY: Jeff, I mean, we’ve said this on The Real News a million times, I’ll say it again. The critical thing that elected Donald Trump is, number one, Hillary Clinton was a terrible candidate with a ton of baggage. Two, her campaign itself was awful and didn’t campaign in the swing states the way any normal campaign would. And most importantly, she promised to be the legacy of the Obama administration, under which inequality got far worse. So she was going out there with a message of essentially more of the same, when it was clear that much of the electorate was rejecting more of the same. JEFF COHEN: There’s no doubt. She got defeated in the Rust Belt. And I worked on a movie, the corporate coup d’etat, and we interviewed workers who voted for Obama, voted for Bernie, and then voted for Trump. She got beat in the rust belt because she was seen as the candidate of the status quo. And so, the day after the election, the Democratic leadership and the Clinton campaign decided, “Well, who are we going to blame this on? Because certainly it wasn’t our fault.” And that was one of the impetuses behind the Russia hysteria. I think we should name some names in terms of the media and some specifics. I mean, the Washington Post reported, and it was false, that the Russians had hacked into the electric utility grid in Vermont. That is false. And again, the big Russia-bashing scare is always big news, and the retraction is always smaller. NBC, MSNBC reported that the Russians had used a supersonic microwave weapon against U.S. diplomats in Havana. It wasn’t true. Forbes reported that RT, Russia’s television network, had hacked into C-SPAN and had put RT programming on C-SPAN. And C-SPAN had to rush out and say, “Well, no, no. That was our technical glitch.” But the most damaging story in the whole two plus years of Russiagate was from the Washington Post quoting some research outfit, they were a bunch of hacks, they’re charlatans, claiming to have a list–if it sounds McCarthyite, it was–claiming to have a list of more than 200 websites that were routinely disseminating Russian propaganda during the 2016 election. And that was in the Washington Post, it was promoted by the editor, Marty Baron. And on that list of Russian propaganda websites were credible, important, independent news sites like Truthdig.dot com, truthout.org, Black Agenda Report. It was just old fashioned McCarthyism in the Washington Post. So you had a series of these stories that not only–again, I’m no defender of Putin. I think he’s a right wing nationalist, anti-gay, sexist, and all of that, but Russia did not do all of these things. And since Russia and the U.S. have 90 percent of the world’s nuclear weapons at their ready, let’s try to have some sobriety when we talk about U.S.-Russia relations. JACQUELINE LUQMAN: Yeah. I think among those of us who are not Trump’s base–he has a die-hard, hard-core base that I’m telling you, no matter what comes out of this report–I think even if this report actually does say this evidence shows a connection to Trump colluding with Russia, Trump’s base is not going to care. PAUL JAY: But Trump’s base is not enough to elect him. JACQUELINE LUQMAN: This is true, but I’m just telling you about the political, and maybe more importantly, the social reality. JEFF COHEN: Let me just jump in. Imagine if even one tenth of CNN and MSNBC and Rachel Maddow program, just one tenth had focused on his greed and self-dealing and his violation of the Constitution with, for example, the Trump International Hotel in Washington D.C. You’ve got governments like Kuwait, Bahrain, Malaysia, they’re having their events there. The National Mining Association, they’re having their events there. You have all this greed going on which is in violation of the Constitution. When Jimmy Carter, a businessman, became president, before that, he divested himself of his peanut farm and his peanut warehouse. Trump has refused to divest. I just want one tenth of the time focused on how, in violation of the Constitution, he’s received all these financial benefits at his businesses from international interests and domestic interests. That would have hurt Trump even more in the November 2018 election, would have hurt him even with some of those die-hard members of the base. PAUL JAY: It may yet get there. Because with these congressional committees following up on Cohen’s testimony, obviously the Democrats have to switch to the corruption story now and the pending release of the Mueller story. So we’ll see. OK, quick last word. JACQUELINE LUQMAN: Yeah. I think what I’m trying to get at is there is a section of Trump’s base that no matter what he does, they will see him as their hero. PAUL JAY: Yeah, and we know that. JACQUELINE LUQMAN: There is no reasoning with these people. There are always going to be people who will respond, “No collusion,” like in New York with the parade with a bunch of Trump supporters who were out there having a parade because the report came back half a nothing burger. PAUL JAY: We don’t know that because we don’t have the report. JACQUELINE LUQMAN: It might not be enough to get him reelected, but they will always be a factor. They will always be a factor because they will always be that group of aggrieved people who believe that their hero was set upon by this evil liberal government. We’re always going to have to deal with these people, they’re not going to go away. PAUL JAY: OK, all right. Thanks for joining us, Jeff. Thanks for joining us, Jacqueline. Jeff Cohen was the director of the Park Center for Independent Media at Ithaca College, and he was the founder of the media watchdog FAIR. He is the co-founder of RootsAction.org.